In the future the resources of earth have all but dried up. The mega corporations have turned their gaze upon nearby asteroid belts for their rich wealth of resources. As an independent prospector you are tasked with establishing colonies on the richest and most strategic asteroids and selling them off to the highest bidder. There is however competition, as you expand your colonies you will find other companies eyeing your holdings, and they will have no qualms about taking your property by force. You must establish your defenses, construct and command vast fleets of fighters and capital ships against your rivals. Build vast cities and small colonial outposts. Design and construct fleets of your own ships. Research new technologies to increase your advantage. Trade with friendly companies and aliens. Build your empire in a full 360 degrees. Inspired by early 4X games like Fragile Allegiance and Master of Orion, Into the Wild Rocky Yonder hopes to bring some strategic depth to the Android games market. Into the Wild Rocky Yonder Available Now! "Rocky Yonder" takes traditional 4X elements such as colony development and research and combines them with the best of the RTS genre to produce one big asteroid mining, epic ship battle filled experience. In the future the resources of earth have all but dried up. 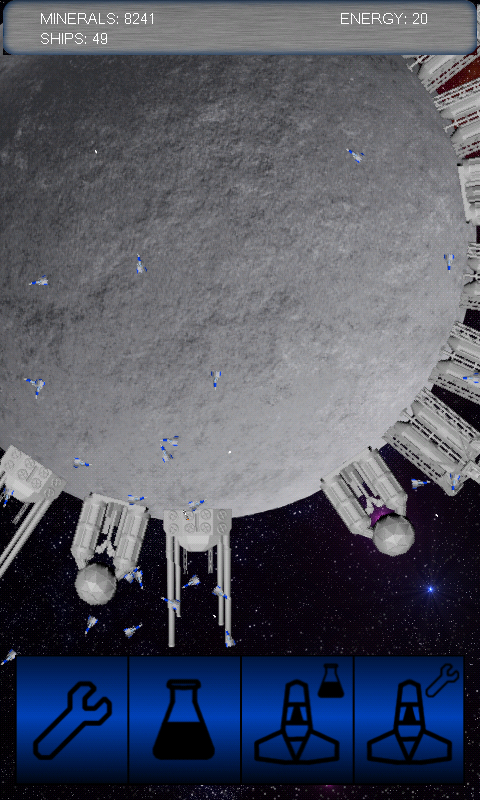 The mega corporations have turned their gaze upon nearby asteroid belts for their rich wealth of resources. As an independent prospector you are tasked with establishing colonies on the richest and most strategic asteroids and selling them off to the highest bidder. There is however competition, as you expand your colonies you will find other companies eyeing your holdings, and they will have no qualms about taking your property by force. You must establish your defenses, construct and command vast fleets of fighters against your rivals. Build your empire in a full and glorious 360 degrees. 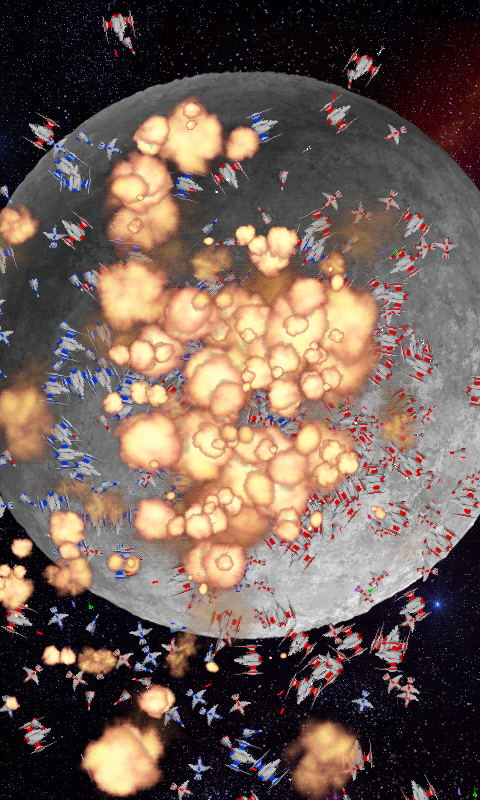 Planets drift and change location dynamically in a constantly evolving universe. A small but cute indie game developer spread thinly between Australia and Hong Kong we have a passion for making games and hope to bring as much joy to others as possible while hopefully making a little cash while we're at it. Established in 2012 we are known mostly for making games and software for Googles Android platform. Into The Wild Rocky Yonder release this Thursday! NuclearFirecracker is opening up a playable build of Into the Wild Rocky Yonder. 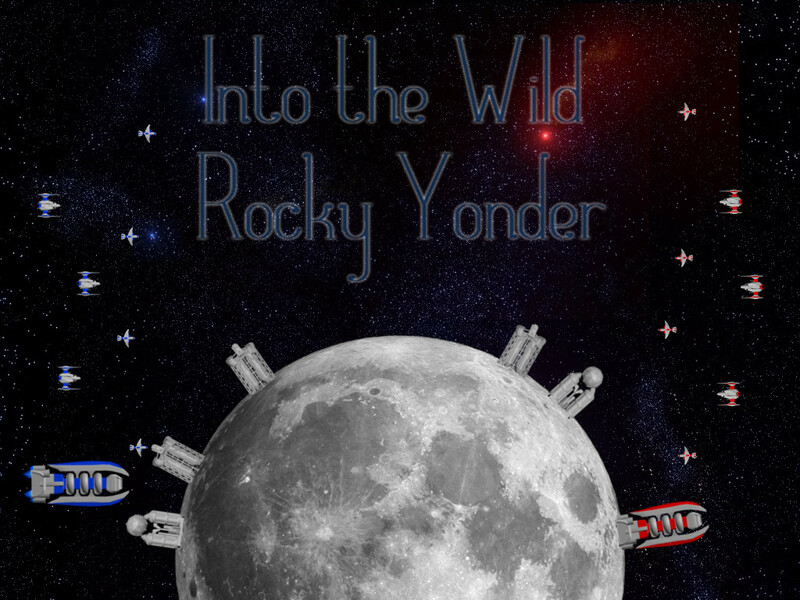 Into the Rocky Yonder wants your wild tech ideas. We want something really out there. *Early Alpha Build, a huge amount of graphical detail is missing as of yet.